The goal of this rite is to bring the dedicant closer to the Divine, as well as to declare your connection to your spiritual path. Doing this as part of a formal ritual helps to cement their relationship with the Divine. Some people choose to wait until they have studied for a year and a day before having a formal self-dedication rite. It’s entirely up to you. Bare in mind that self-dedication is a commitment you are making; it should not be done at random or without significant thought beforehand. - A new moon, which symbolizes a time of new beginnings. - Blessing oil (I used a custom blended oil I made in dedication to my deity). 1.You should perform this ritual skyclad (optional). Find a place that is quiet, private, and free of distractions. Turn off your cell phone and send the kids out to play if you have to. 2.Begin by grounding yourself. Find your inner peace, and become good and relaxed. Shut out all the things from your mundane life that distract you -- forget for a while about paying the bills, your son’s baseball practice, and whether or not you fed the cat. Focus only on yourself, and the tranquility you’re entitled to. 3.When you’re ready to proceed, sprinkle the salt on the floor or ground, and stand on it. 4.Light your white candle, and feel the warmth of the flame. Look into the glow of the fire and think about what goals you have for yourself on your spiritual journey. Think about your motivations for performing this self-dedication. Dip your finger into the blessing oil, and with eyes closed, anoint your forehead. (Some people do this by tracing a pentagram on the skin with the oil). Say: May my mind be blessed, so that I can accept the wisdom of the gods. May my eyes be blessed, so I can see my way clearly upon this path. May my nose be blessed, so I can breathe in the essence of all that is Divine. May my womb be blessed, so that I may honor the creation of life. 7.Take some time to meditate. Feel the afterglow of the ritual, and feel the energy of the gods around you. You have brought yourself to the attention of the Divine, so they will be keeping an eye on you. Accept the gift of their wisdom. This is a spell that will protect and bless your Book of Shadows and should be done during the waxing Moon phase. The elemental powers spin and my magic holds. The Moon is in magick the way it is in life. 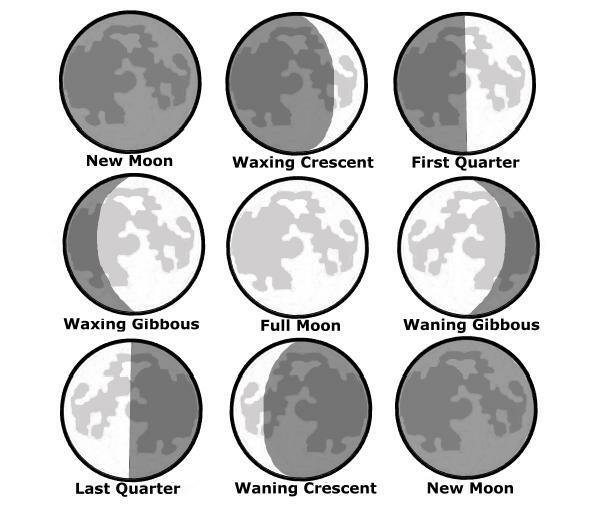 Each moon phase generates an energy flow. If you want to work magick with the Moon -- which is one of the most important ways to enter into the flow of Magick -- you must perform your spells in harmony with the Moon's phase. If you don't have all the herbs, at least have the mugwort and the lemon balm. Gather up your herbs and make a pillow. Stuff with herbs but don't make it too thick. You have to sleep on this, so it needs to be kind of flat. Slip the pillow inside your actual bed pillow under your head. After a few nights of sleeping on this charm, you will start to remember your dreams more clearly and expect some psychic impressions to start coming through. The day before you want to perform the spell, drop the stone into the water and leave it on your altar until you are ready. Monday night, find a quiet and peaceful place to do the rest of this psychic spell. The first step is to choose an entity that you wish to speak with. It can be a God, Goddess, or nature spirit. Once you have selected your subject of interest, do some research on them. Find their associated symbols, read and familiarize yourself with stories about them, even look for related art. Really get familiar with them, and get your mind tuned to their essence. This is a slightly ritualistic approach with candle magic... Find a candle that you feel represents the deity you are going to communicate with. Try and find a color, smell, shape or size that reminds you of the deity's attributes. The shape doesn't matter (to me), so I would chose something practical, but it can be helpful symbolism to chose a 3-sided candle for communicating with a triple-aspect goddess and so forth. Once you have the candle, it's good to add some personal touches to its appearance to give it more importance. This can be done by carving a symbol representing the god or goddess into the candle. If you are unsure what symbol to use, there are plenty of books that cover this topic, or you can try searching for information on the internet. If the deity correlates with one of the planets, you can use the astrological symbol. In addition to symbols, you can attach plants and herbs or surround the candle's base in a wreath of them. A decorative holder can also be used, such as a shining gold base for a sun god, a shallow bowl filled with water for those water related, etc… Stones, earth, feathers, you name it! Make the candle special with whatever feels right to you and has a strong personalized connection to the spirit you want to speak with. With the candle prepared, the next step is to imbue it with the energy of your will and desire. This process can be started while you are working on decorating the candle. Think about what you know of their history, their nature, and what you hope to gain by speaking with them. Feel the energy pouring out of your hands as you work on the candle. Do this at a time when you are feeling an appropriate level of enthusiasm. Give the candle your full focus, making sure distractions don't take you away from the task. This candle is an expression of your willpower to communicate with a higher entity, and a vessel for your personal energy. It may seem like a lot of work, but this is something you will be using over and over again. I personally feel it lends extra power to the candle the more times you use it. The second step is to plan a good a time and place to make the connection. Working with a moon deity is best in view of the moon at night, and a nature deity could be contacted in the woods. For some situations you'll have to create your own environment. For fire deities, you could try it in front of a fireplace or in a dark room lit by a lot of small candles. The idea is to make you feel closer to the element of that God/Goddess, and to put you in an appropriately mystical mood. Once your candle is ready and everything is in place, simply sit there for a while and calm yourself. Get all distracting thoughts out of the way (as much as any human can expect to) and get comfortable. If you want to be in a chair, on the floor, or standing, do it. Go with whatever feels right in this situation. As you light the candle in front of you, say the deity's name out loud like a mantra. Elongate the syllables and really feel the name. "Briiih-ghiid" etc. Repeat the name while willing the god or goddess to appear in front of you. Make your will and your call a friendly invitation and a hopeful request for conversation. There isn't one key event used to signify that a deity has arrived. Sometimes they will speak first, other times they will enter and wait to be addressed. I usually sense a building of energy in front of me as the deity enters the room. When this build-up stabilizes is when I attempt to converse. This is the hardest part to describe, as it may be different depending on the person. When I communicate with a deity or spirit, I often speak inside my head. If you choose to speak out loud, also be sure to "think" what you are saying loudly. Make sure that as you are saying the words, you are also thinking of those words and what they mean. Try to maintain a balance of focus and relaxation. After you speak, immediately clear your mind of thought and listen for an answer. Be patient and be open. Some people receive communication in the form of images, others hear the voice respond in their mind, and some receive mental concepts in return. Feelings and ideas can be as effective as words, and you may want to try communicating with those as well. Likewise if you relate to images stronger than words, try communicating by sending images to the god. Experiment and find the method that works best. For some people, success will be instant. For others practice is needed. I find that the more times you speak with a spirit or deity the easier it becomes to hear and communicate. There will be days, no matter how often you practice, that your mind is too distracted or nervous, so don't give up and don't let failure get you down! Your mind is accustomed to thinking of dozens of things at once; now you're asking it to stop multitasking and hone in on one particular idea or goal. That's why the Buddha recommended three things for successful meditation (or any spiritual pursuit): Practice, practice, practice! Find a convenient place and a comfortable position that you can sit in for a while. The more comfortable your body is, the easier it becomes for your mind to direct its attention toward the purpose you've intended. At first, your mind is going to jump about from thought to thought, like a butterfly flitting from flower to flower. Everything from a little twitch in your leg to a dog barking down the road can potentially break your concentration. That's why meditation is considered a discipline. Close your eyes and give yourself permission to put the world around you “on hold” for a bit. Breathe slowly and deeply; pay attention to your breath. It may help to shake out your arms and legs or stretch a bit before you sit down to meditate. Some people like to do some light exercise, such as yoga or walking, to release tension prior to meditation. Begin by committing yourself to just five minutes of meditation a day, then increase the amount of time over a period of weeks. Just sit quietly, with your eyes closed. At first five minutes may seem like an eternity, but soon you'll stop glancing at your watch and simply enjoy taking a brief time out to relax. Metered breathing is the most universally suggested meditation aid. Here's how it goes. Take three cleansing breaths in through your nose and out through your mouth. Continue to breathe slowly. Let one breath naturally lead to the next, so there's no break in the rhythm. Focus your attention on your breathing. Now, just for the fun of it, breathe a little more quickly than normal for about ten seconds and see if your senses heighten or diminish. Inhale, hold that breath for a beat or two, then exhale normally. Repeat this for about five minutes and note the results. Now mix and match the breathing: inhale slowly, exhale quickly; exhale slowly, inhale quickly. Finally, try the slow, regular breathing again and notice how you feel. There's no right way — use whichever breathing pattern works best for you. Be patient with yourself and keep practicing. It's not unusual to fall asleep during meditation (in fact, meditation is frequently prescribed for people with sleep disorders). You wouldn't expect to run a marathon without training, and you shouldn't expect to reach intense altered states of consciousness the first time you meditate, either. End your meditation gently. Slowly bring your awareness back to normal. Open your eyes a little at a time. Wiggle your body a bit. Stay seated quietly for a few moments to give yourself a chance to adjust and return to everyday reality — don't get up too quickly, or you may become dizzy. Each person's experience of meditation is unique, depending on personality, concentration level, and the goal of the meditation. 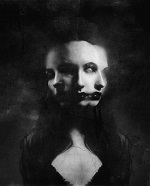 Furthermore, your own experiences may not always be the same. Most meditators say they feel a sense of calm and inner peace. Some individuals report body sensations, such as warmth, a slight tingling in the extremities, or light-headedness. At deeper levels, you may experience a connection with Spirit (however you interpret that connection). You might also witness dreamlike visions or creative insights. Perhaps you'll achieve a sense of purpose or receive clarity that helps you resolve problems. This kind of inner knowing can't easily be described in words — but you'll know it when you feel it. Over time, meditation can help you resolve issues or change patterns in your life. Some people find it useful to gently press the tips of the thumbs and forefingers together while meditating. Activating the acupressure points in the fingertips can encourage mental relaxation and insights. -Meditate at the same time every day. Establishing a routine trains the mind to anticipate relaxation at a certain time. -Eliminate all distractions (phone, TV, etc.). -Create a sacred space for your daily meditations. -Gaze at a candle flame — the flickering produces a hypnotic effect. -Design a ritual around your meditation. -If you wish, smudge the area or cast a circle around the place where you meditate. -Record your experiences and insights in a journal. And again, the more you exercise any skill, the better you'll get at it. The same is true of meditation. To begin, either stand with your feet filmy planted on natural earth, or just sit on your rump. Calm your mind and adjust your breathing to a slower and deeper rate. Visualize roots made of pure light extending from your feet or the base of your spine and extend these roots deep into the earth. When you go deep enough, you should sense a large reservoir of raw energy. With the roots dipped into this source, soak energy up by visualizing it being pulled through your tendrils and allow it flow back into your body. Take in a good drink of energy as you inhale, letting the light spread into every corner of your body. Do this every other inhalation until you feel your body is highly charged. Enjoy the buzz for a moment before sending the energy back down your roots and into the ground as you exhale. The idea behind this is that you are washing your body in pure energy that mixes with your old energy. Cycling the energy in and out of your body is to purify and dispel some of the old energy while refreshing invigorating your system with movement. Continue the flow of incoming and outgoing energy. Saturating your body with fresh energy helps to dispel any negative vibrations in your system. When you feel this process is complete, slowly pull the roots back into yourself, dispersing their form as they reenter you. Remain still for a few moments longer and then continue on with your life refreshed and balanced. If you feel heavily burdened by negativity, additionally visualize black or tainted energy being pushed down your roots into the earth below. See the negativity absorbed, overwhelmed, and then purified by the strong natural energies of the earth. Take additional pure energy to replenish that what you then expelled. Visualization is a key component in magickal work. You must be able to form a picture in your mind of the result you intend to manifest. Clear, simple, vivid images generate faster and more satisfactory results than indistinct or confused concepts. First envision what you desire, then fuel the vision with your willpower to cause your intention to materialize. Your will animates the image and moves it from the realm of spirit to the physical realm. Of course, there are right ways and wrong ways to use visualization in magick. The most important rule is to envision the outcome you desire. Don't focus on the problem or condition you wish to change. For instance, if your goal is to heal a broken leg, don't think about the injury — envision the leg strong and healthy. Don't concern yourself with the steps that lead to your destination, either. Just concentrate on the end result and the rest will fall into place. Make sure to include yourself in your visualization. See yourself rolling in a pile of hundred-dollar bills or happily performing the job you desire. Imbue your visualizations with as much sensation as possible. Instead of only seeing something occurring, allow yourself to hear, taste, smell, and touch as well. Don't keep changing your mind or the images you've created. It's okay to refine and enrich them, but if you keep putting out new and different visions you'll confuse the matter. Be patient. Some intentions take a while to manifest, especially complex goals or ones that involve other people. You can create visualizations for yourself or for others, but if someone else is involved you should probably ask permission first (I understand there are special circumstances). -Think about your intention as you fall asleep and bring it into your consciousness as soon as you wake up in the morning. -Use photos or pictures cut from magazines to strengthen your visualization process. -Display images in a place where you'll see them often throughout the day, to continually remind you of your objective. -Connect physical objects symbolically to your mental images. For instance, in a love spell two candles could symbolize you and your beloved. Above all, believe that your visualization will bear fruit.